In this post, we’ll provide a brief summary of the legislation we were most closely following during the 2018 lame duck session. Perhaps the bill with the most wide-ranging consequences for environmental protection, HB 4205 will make it significantly harder for Michigan to enact new regulations that are stricter than federal standards. The implications are enormous, unclear, and potentially affect every department in the new administration. We are especially concerned about how this new law will weaken the incoming administration’s ability to address PFAS contamination. There is currently no federal regulation of PFAS and Michigan’s current cleanup criteria have logical gaps that leave many residents without protection. We discussed the potential effects of the original bill in an earlier post. 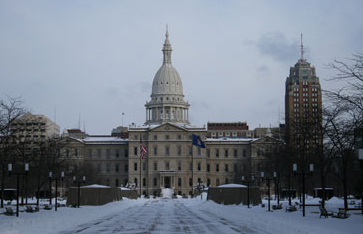 SB 1211 was significantly revised before Governor Snyder signed it into law. The impact of the version signed into law will be significantly reduced. Opposition was widespread, and while the law will place a greater burden on agencies tasked with protecting wetlands, public pressure on state representatives seemed to help scale this one back. SB 1188 (and six other related bills), passed the Senate but did not make it through the House. They would have restricted local governments’ ability to regulate the removal or trimming of their own trees and prohibited them from adopting ordinances or charters that protect trees and other vegetation. Opposition from local governments across the state was fierce. Governor Snyder signed SB 1244 into law. It will limit what scientific information can be used to understand toxic contamination at cleanup sites. In a rare move, 82 MDEQ staffers wrote an open letter to the governor urging him to veto the measure, stating the bill would “threaten the health and safety of the people of Michigan” and solely benefit the polluters who are pushing the measure. The law will affect how contaminated sites are evaluated in the watershed and elsewhere across the state. Several bills sought to either decrease or increase funding for cleanup of contaminated sites or to address emerging contaminants like PFAS. Some of Governor Snyder’s favored bills never made it out of the State Senate, while other options passed. On balance, Governor Whitmer will have about 1.4 billion dollars to put toward environmental cleanup efforts. Overall, changes rushed through during the lame duck session will make protecting water quality and natural environments in the Huron River watershed more challenging. In the coming year, we will need your support and vigilance. Donate to HRWC, volunteer, and help spread the word about the challenges facing our home river. Continue to remind your local and state representatives that you want strong protections from PFAS, 1,4-dioxane, and other contaminants. The lame duck session certainly lived up to its name, but we can make great progress in the next legislative term.